HOLI se pehele hi aapne nahana chod diya. Your validity for taking a bath expires on this holi. 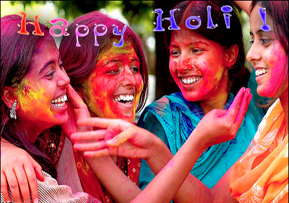 So wish you a happy holi! Aapko “HAPPY HOLI” direct dil se..
Rangon se bhi rangeen zindagi hai humari..